The KCTS Mobile investigation Kit or M.I.C.K. for short is the secret weapon in our media department arsenal. 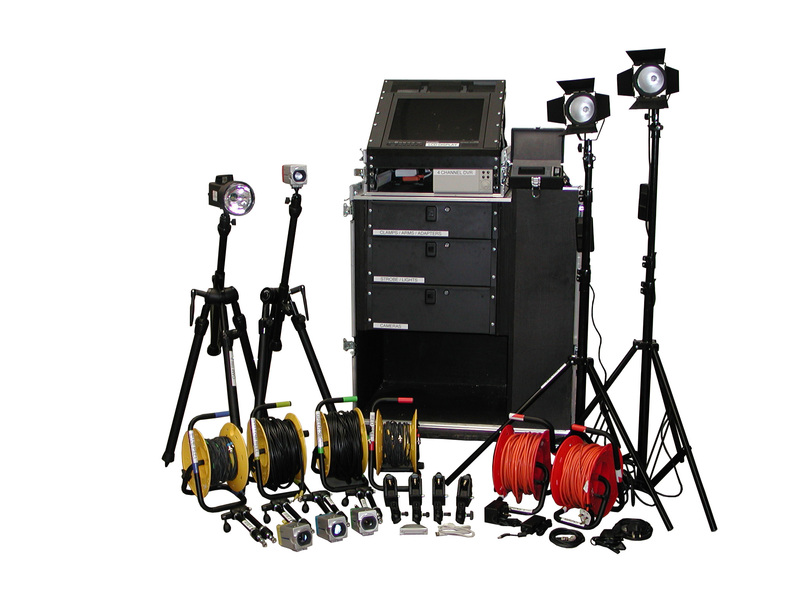 Developed in-house in liaison with our clients the main purpose of this equipment is to offer a fully portable solution to filming onsite production process problems for further offsite or offline investigations into chronic or sporadic problems. When there is a particular issue with a process, the best way to identify what is happening is to see and record the issue “actually happening” in real time. Of course “seeing it happen” can be difficult if it’s not continually happening or only happens very quickly. MICK contains all the equipment needed to successfully capture machine problems and to analyse them on the spot. Mobile – All contained in one unit which can be easily moved and separated for hard to access areas. Investigation – For use in problem solving scenarios to capture and analyse failures/abnormalities on site. Camera – The kit uses high quality, easy to use, light and portable cameras. Kit – Everything supplied (cameras, lights, tripods, clamps, strobe robe, LCD monitor and DVR) for machine investigation work. The kit is split into two main sections – equipment storage and recording/analysis. The Equipment section contains everything needed to mount and position the cameras easily and add extra lighting. Each camera has 30 metres of cable so large areas can be covered. The Recording and Analysis facility consists of an LCD flat screen monitor and a four-channel DVR which enables all four cameras to record simultaneously. Each camera image can be viewed full screen or with all four images on the same screen. A user friendly manual is provided which gives simple and easy to follow instructions on setting up and using the equipment. Once the cameras are set-up they are connected to the DVR using colour coded connections using the patch panel at the front of the machine. The DVR is simplicity in itself to setup and start recording. The cameras include many features to enhance recordings such as; variable shutter speeds, zoom capacity and motion detection. The DVR has extensive features to analyse the captured video. It employs easy- to-use search facilities to help pin point any problems. The section of the recording where the problem happened can be played back frame by frame using the jog/ shuttle facility. The captured videos can also be analysed remotely, by taking the hard disk out of the DVR and viewing the problems on a remote PC. The MICK kit is most effective when used on specific problem projects in conjunction with our Problem Solving workshops. This entry was posted on Thursday, April 15th, 2010 at 16:42	and is filed under KCTS Resource. You can follow any responses to this entry through the RSS 2.0 feed. You can leave a response, or trackback from your own site.